Born in a small Kansas town on the Missouri river, I grew up in a house of avid readers and overflowing bookshelves. When I was sixteen I wrote my first, full-length novel on a typewriter in my parent’s living room. My main focus is adult epic fantasy, but I also write urban fantasy, and the occasional science fiction or post-apocalyptic story. 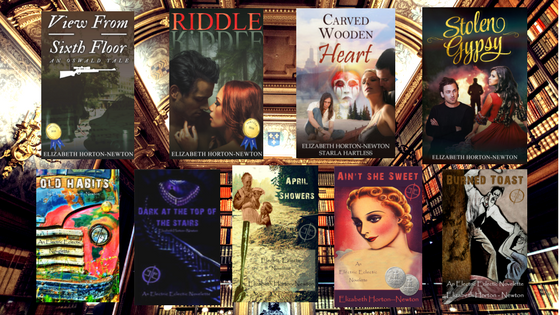 I am proud to be a self-published author and a member of the #indiebooksbeseen community. My goal as a writer is to stir emotion and make the reader feel, whether it be good or bad. I believe in writing fearless, and that telling a story as it is meant to be told, is far more important than word count. 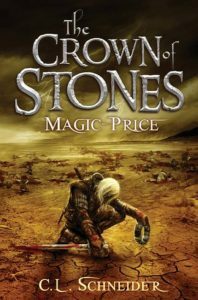 The Crown of Stones: Magic-Price is my first published novel. The second book in the trilogy, Magic-Scars, was released earlier this year. Ian Troy is one of the Shinree, a fallen people with an inherent addiction to magic. Scorned and reviled for the deadly side of their spells, the Shinree are bred as slaves. Their magic is suppressed by drugs and used only as it serves the purposes of the other races. Descended from a long line of soldiers, Ian is conscripted into the Rellan army and made to fight in their longstanding conflict against the ruthless Langorian invaders. The downfall of Rella imminent, Ian goes against orders and turns to the Crown of Stones, an ancient Shinree relic of untold power. Ignorant of its true purpose, Ian uses the crown to end the war, and pays a terrible price. A decade later, still tortured by the aftermath of that day, Ian lives as a bounty hunter in self-imposed exile. Having renounced his magical heritage, he curbs his obsession with a steady stream of wine and regret. He struggles to put it all behind him, until a fateful encounter with a pretty assassin brings Ian’s past crashing into the present. Targeted by a rogue Shinree, and a ruthless old enemy, Ian is forced to use magic again. His deadly addiction is rekindled and his life of isolation is brought to a swift end. With the land he gave up everything to protect once more in jeopardy, and his people’s future at stake, Ian becomes embroiled in a violent race for control of the Crown of Stones. To save the realms and those he cares for, Ian must embrace the thing he fears most: his own power. 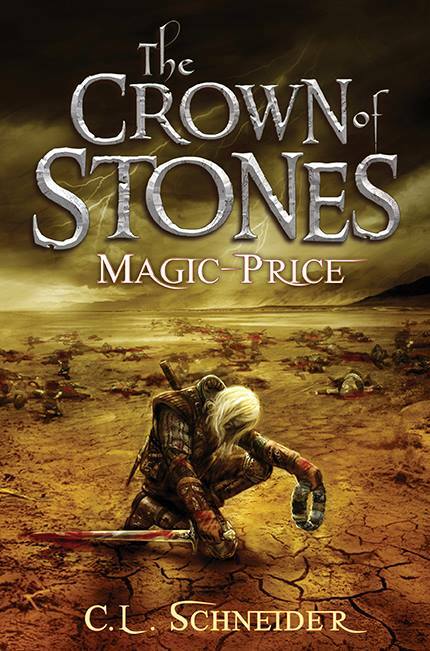 Magic-Price is the first installment in The Crown of Stones trilogy. Bodies pressed in on me on all sides. More were piled up beneath my feet. The grass, gorged with assorted fluids and trampled remains, squished under my boots as I carved open my opponent’s chest, pushed him aside, and moved onto the next. There was always a next. The Langorians were a swarm…an inexhaustible, savage, mindless swarm. And we had no choice but to become like them to survive. To become animals, going at each other, mechanically pushing against the tide, battering whatever stood in our way with whatever we had; clubs, axes, swords, knives—our bruised, bleeding bare hands. Fighting for days, months, years, striving to hold out against an enemy that knew nothing of mercy, an enemy stronger, and far more brutal than us, we’d become something less than we were. And we were still losing. My throat went dry at the fire in her. The way she stood, outlined by the backdrop of chaos, flanked by the crackling flames that consumed our camp, with sweat beading on her dark skin and battle-lust glazing her stare, I wanted to pull her into my arms. I wanted to go back to this morning, on the furs of her tent, when Aylagar’s flawless, ebony skin was on me. Where status and race didn’t matter and death felt far away. Mostly, I wanted to believe her, as I had so many times, that every battle brought us closer to victory. That persistence was our greatest strength and it would carry us through. But this was it. King Draken of Langor was throwing everything he had at us, making one final push to wipe us all out. To once and for all, lay claim to the land his forefathers had sought, and failed, to conquer. Surrendering was unacceptable; she was right in that. Yet, Aylagar had lost her way. Somewhere along the line, the outcome had stopped mattering to her as much as the fight, and my affection, my awe of her, had blinded me for far too long. Magic doesn’t wound the same as a sword. 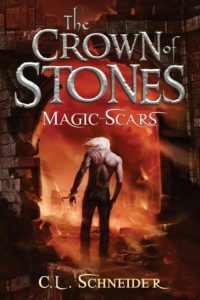 The story of Ian Troy continues in Magic-Scars, the second installment in C. L. Schneider’s riveting epic fantasy trilogy, The Crown of Stones. Captured by his old enemy, King Draken of Langor, Shinree magic user Ian Troy was sentenced to prison. Tortured and drugged, robbed of his will, his memories, and his magic, Ian was made to do unspeakable things. Rescued, as his body slowly rids itself of the drug, Ian realizes he has returned to an unfamiliar world gripped with fear. In the wake of his fall, those he cared for were left to their own grim fates. Draken has seized control of the realms and named himself High King. His brutal rein has sparked a desperate rebellion that Ian now finds himself a part of. His one task: recover and repair the Crown of Stones, in hopes it will tip the balance in the revolution that is brewing. In pursuit of the reason behind the artifact’s strange loss of magic, Ian is driven to release an explosion of retribution and power that leaves him irrevocably scarred. Struggling to reconcile the man he has become with the man he once was, Ian strives to understand the growing number of magic-scars adorning his body. He searches for the truth behind his link to the Crown of Stones and uncovers shocking secrets buried for generations beneath the sand. To become the weapon the resistance needs, he must assume responsibility for his magical inheritance. But can he curb the destructive appetite that comes with it? The price of Ian’s magic and his addiction have never been higher. I eyed the door. Instinct told me to hold off. I tried to listen. I crouched among a group of snow covered barrels and waited to see if a sentry was on watch. It took less than a minute to know waiting wasn’t on my list of favorite things. I was pretty confident I didn’t like eerie silences either, as the longer the quiet stretched, the more it unnerved me. Swiftly, uneasiness became panic, then dread. With each scrape of the swinging lantern and flap of the sail, the calm ate at me. It ate until I was hollow. Until that same nagging notion (the one I had just started to ignore) crept back. It was a noiseless, internal clamor. An urge that gouged into what was left of me, chiseling pieces off, scooping them out even as it reminded me that I’d lost the very thing that once filled the hole. It’s more than that, I realized. It’s someone. He was out there, past the night and the snow. He was in trouble. He was suffering and it was my fault. Or was it? I had no memories to match my guilt. No face or name to prompt such urgency. All I had was intuition ringing like a claxon in my head telling me to go, to find him. Tell us a little about yourself. How did you get started writing? How did I get started writing? You can blame books on that one. I was a huge reader and an early reader. But, honestly, it feels like I have always been writing. I can remember being very young and rewriting the scripts for my favorite TV shows because I didn’t like how the story was evolving or what the writers were doing with the characters. Sometime I would write commercials or fake news reports and make my poor family sit down and pretend to be my audience. I wrote poems and started more short stories than I can count. It was rare when I read a book I couldn’t finish, but at sixteen, I had a streak where I picked up and put down several book in a row that weren’t cutting it. I thought I could write a book at least that good, so that’s what I did. I spent the rest of that summer on the draft of my first full length novel; a post-apocalyptic monstrosity entitled A Twist of Fate. Looking back now, I’m fairly certain it was no better than those books I couldn’t finish. But, was the start of something. Twist of Fate set me on my path, and one of these days I’m going to pull that monster out of the box in my closet and give it the shine it deserves. What do I do when I’m not writing? That’s an easy one. I’m always writing! If it isn’t on my laptop, or on paper, it’s in my head. Occasionally, it’s on a napkin in a restaurant. The rest of my day is spent letting the dog and cat in and out, and ignoring the laundry. What is the one thing that would surprise us? I’m not sure if it’s surprising, but it’s something not many people know. There was a time in high school when I seriously considered a career in special effects make-up. Since I was a young child I’ve been fascinated by what goes on behind the scenes in a theatrical production. As part of the drama club in school, I worked on the stage crew, building the scenery, creating props, putting together the costumes. I even choreographed a musical once. But what truly fascinated me were the creatures and characters created for fantasy, sci-fi, and horror movies. I wanted badly to be a part of that world and to create my own fantastical creatures. For several years I read everything I could find on the subject. I looked into schools and even narrowed down my choices. But, life had other plans for me. Now, I create my creatures with words—and binge watch Face-Off every chance I get. I have a closet full of unpublished works (some completed, some not), but The Crown of Stones: Magic-Price was my first published novel. The second book in the trilogy, Magic-Scars released earlier this year. What genre is it and what is it about? The Crown of Stones trilogy is adult, epic fantasy. It follows the trial of Ian Troy, a man born with a crippling addiction to magic. As Ian struggles with his addiction, he faces enemies, old and new, in an attempt to unravel the secrets of The Crown of Stones and unite the realms. The Crown of Stones trilogy was mostly inspired by the character of Ian Troy. I believe the most interesting characters are flawed. The more flawed, the more real they feel to me. Super Heroes are great. 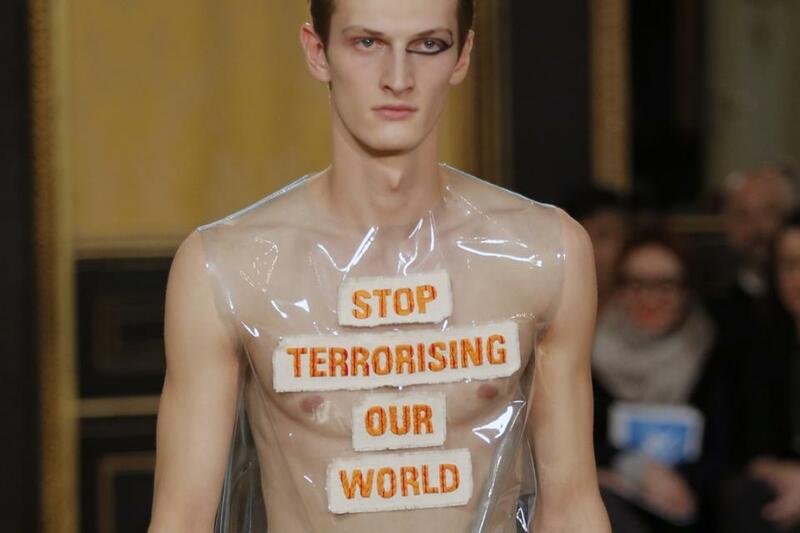 Yet, I’m more interested in what’s behind the mask. How much muck were they dragged through before they became super? When I created Ian I did a very lengthy profile. I wanted my story to revolve around magic, so I made magic (what should be his greatest strength) his greatest flaw. I added in a few traits inspired by some of my favorite books from childhood, and the story evolved from there. I had this gorgeous piece of amethyst sitting on my bookshelf for years. I always wanted to work it into a story. So when I created the character of Ian and his magic, the original title of the book was The Amethyst Crown. But as my magic system evolved, so did the crown and the title. Tell us a little bit about the cover art? 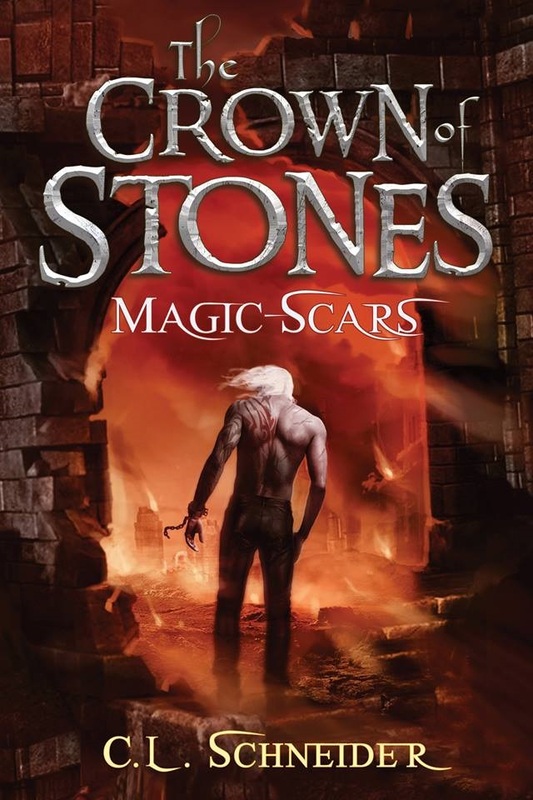 The covers for both Crown of Stones books were done by Alan Dingman. Alan is a personal friend of mine as well as an incredibly talented local artist. 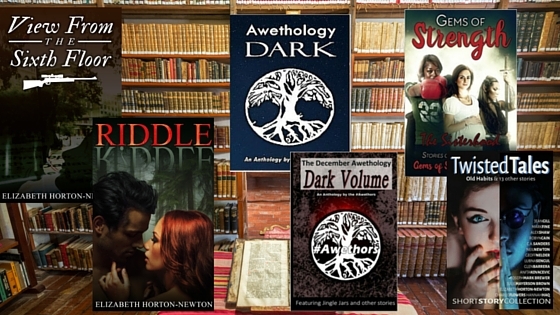 When I decided to self-publish I looked first at the covers CreateSpace was offering. They were all well done, but none of them could live up to the image in my head. The cover of Magic Price has been bouncing around in there for a long time. I couldn’t compromise. Working at Simon & Schuster as well as having his own portrait business; I knew Alan was a busy man. I approached him about taking on the work as a side job and, thankfully, he jumped at the chance. The way he can pull an image out of my head, and enhance it with his own flair, amazes me. I believe if a cover I done right, an author can convey so much to potential readers. With both Magic-Price and Magic-Scar, I wanted to convey the tone of the book as well as provide a glimpse into a pivotal moment in the main character’s life. I’m very picky. Every detail has to be just right. Alan is very patient. Though I wouldn’t doubt he’s sick of me by the time the project is done! If you could cast your characters in the Hollywood adaptation of your book, who would play your characters? Different writers have inspired me at different times in my life. Some whose titles I have devoured over the years (in no particular order) are: H. G. Wells, Jules Verne, Margaret Mitchell, Emily Bronte, Marion Zimmer Bradley, Jennifer Roberson, C. J. Cherryh, Stephen King, Andre Norton, Ray Bradbury, Jim Butcher, Simon R. Green, and Mary Shelley. Almost every book I’ve ever written has started on paper. I love a blank page. But a blank screen…not so much. My drafts are a messy vomiting of ideas, half of which don’t make it between the lines. I call it my skeleton. The story is usually coming to me fast and furious at this point so it’ also easier to carry around a notebook rather than the laptop. When I have enough down to start really working with, I head to my laptop and put the meat on the bones. I usually go back and forth a couple of times from notebook to computer. I don’t write linear at this stage. I write whatever scenes I see most clearly in my head. Later, I marry them together on the computer. Once the draft is done I start revising. After the first revision I start sending some to my beta readers. The second and third revisions are my favorite. By this time the story has really come together, and I can start adding in all the nuances and massaging sentences and paragraphs, making sure they have the proper rhythm and flow. By the time I start obsessing over a fourth revision, is when my editor steps in and pries it from my hands. Do you read your reviews? Do you respond to them, good or bad? Do you have any advice on how to deal with the bad? I do read my reviews, every single one of them. I know some authors who have sworn off reading their reviews, but in the beginning I don’t think most can probably help it. At least I couldn’t. I distinctly remember the shock at my first five star and the tears at my first one star. I thought I was prepared for the praise a much as the candor, but it takes some getting used to. Your blood is on those pages. It’s never easy to hear someone bash not only their content, but you as a writer. But, it gets easier. You learn what is really constructive and what to ignore, and if you’re lucky, the good outweigh the bad. I read a quote once by Tibor Kalman: “When you make something no one hates, no one loves it.” Those words helped me immensely when it comes to dealing with reviews. I still say them to myself from time to time. They remind of the diversity of human taste and how you really can’t please everyone. All you can do is be true to the story that’s in you, and tell it. That being said, if enough reviews highlight the same issues or potential problems with your work, it might be time to take a look at it. As far as responding to reviews, I may thank the reviewer on social media for reading, or for their kind comments. I think that’s only polite. But, in my opinion, engaging someone who wrote a bad review is never a good idea. People are entitled to their own views, no matter how you might not agree with them. Not to mention, there is too much emotion wrapped up in your work. You’re for more likely to answer with your heart than your head and make things worse. Read them and move on. Resistance is not futile! What is your favorite Halloween costume you’ve ever worn? My favorite costume is when I went to a party a couple of years ago dressed as a female version of Daryl Dixon from The Walking Dead. I had the crossbow, the ear necklace, the red handkerchief, the knife. I even attached the angel wings to my vest. It was as much fun to put together as it was to wear. I’m currently working on Magic-Borne, the final book in The Crown of Stones trilogy. It’s heading off to my editor in September so I’m scrambling to be sure it’s exactly how I want it first. I’m finding it very bittersweet. These characters have been a part of my life for so long. There is so much to wrap up and touch on, I want to make sure Ian and his friends get the proper send off. I recently started work on my next book, which centers on the story of a half dragon woman who flees her world to seek sanctuary in ours. I have two hundred pages of a draft done. I wrote it about a year ago, but my idea has expanded quite a bit since then. I reworked the plot just last week, so I’m unsure yet how much of the draft I’m going to keep. I’m also in the beginning stages of co-writing the first book in a Viking-themed epic fantasy trilogy with fellow author Jeremy Swiger. We have some draft finished, the first book plotted out and a loose plot for books two and three. So I have a lot to keep me busy. I think this one is pretty obvious. Fantasy, of course! I love fantasy in all its forms and offshoots. To me, fantasy is endless possibility. I’m not sure a writer can’t ask for much more than that. What do you wear while writing? Since I squeeze it in during every free moment I have, especially in the summer when the kids are home, I write with whatever I have on. But what do I prefer to write in? My PJs. Or my yoga pants. For marathon writing sessions I want anything comfortable, where I’m free to pile in the chocolate and not feel the pounds creeping on. Do you have a pet or pets? Yes, we have pets. Unfortunately, our Beta fish, Happy and Bro, died recently. But, we still have Skittles the cat, who spends her days trying to figure out how to sleep on my laptop while I’m writing, and her nights plotting on how best to off the dog. As you can see below, she also does a bit of zombie modeling for her immature owners. Woodstock, (otherwise known as Woody, Woodrow, or Drop It) is our 70+ pound, 1 ½ year old lap dog. Despite repeated attempts on his life, he still believes Skittles is his best friend. What is your favorite snack food? Is coffee a snack food? If not, I would have to say chocolate covered pretzels (chocolate covered anything, really) or chips and salsa. Do not leave a bowl of either in front of me. It will likely be empty by the time you come back. I would love to meet Amelia Earhart. She was the first woman aviator to fly solo across the Atlantic. We were born in the same small Kansas town, and I’ve always found her quotes inspiriting. Amelia Earhart was bold and gutsy, and didn’t listen to the naysayers. She believed in herself. I admire her fearlessness.